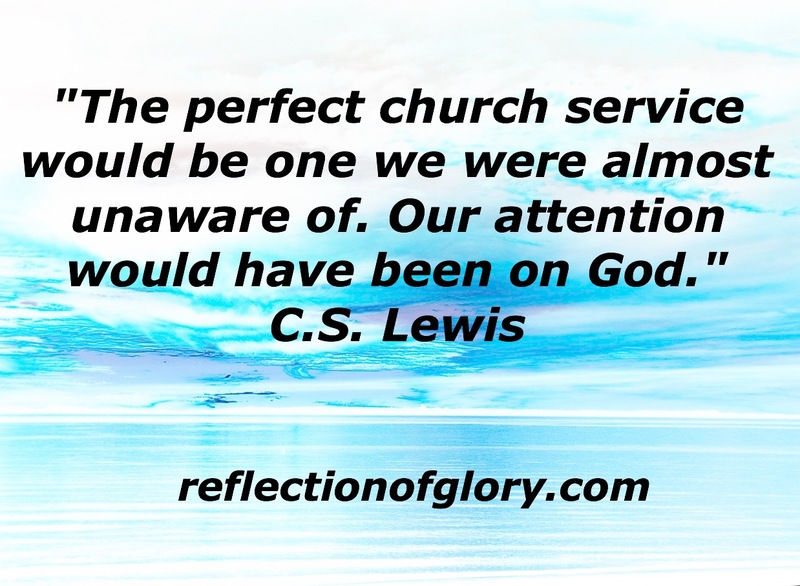 Perfect Church Service | Reflection of Glory! Sometimes we get so caught up in critiquing the service – the worship music; the sermon; and even those attending…that we forget the reason we are there – to worship Almighty God!! Everything about the church service should lead us into the presence of God…to initiate a face-to-face encounter. If we walk away from our churches with the “service” filling our thoughts instead of God…something needs to be changed!